that will be treasured for a lifetime. The Deepwood Farm summer camp program has many opportunities for young horse lovers who want to find themselves surrounded by horses and horse people. We offer 3-day camps and 5-day camps through the summer that cater to different levels of riding. Details outlining each session can be found below. All camps are limited of 8-12 campers per session, so we recommend signing up early. Safety is our #1 priority, so we have 1 camp counselor for every 3 campers supervising while children are handling and grooming their horses. All camps have the option for day campers and overnight campers who wish to come for a full stay at Deepwood Farm. Find the full schedule below. Click here to download your registration form. Please feel free to call DiAnne with any questions - 207-824-2595. Three day camps are available for children ages 6-12. While campers are at the farm they are given the responsibility of caring for their own horse. They will be trained on how to properly groom, tack and tend to their horse. Campers will receive riding lessons in the morning to work on balance and steering. Lessons will cater to the riding level of the campers in the ring at the time. We see great progress in beginners who attend this camp. The goal is to have everyone leave knowing how to walk and trot their horse around the ring and be comfortable riding on the trail. The afternoon brings a beautiful trail ride through the White Mountains. 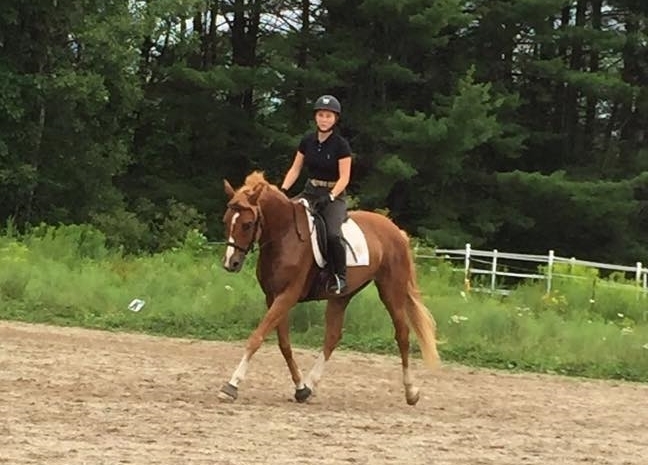 Each camper is paired with a camp helper to support them until they are comfortable riding without a lead. Our horses are sturdy, quiet and a pleasure to ride. When the campers are not on horseback, they are immersed in horse themed games, activities and crafts. We keep the groups small so that each camper receives quality time and instruction, and above all remains safe. On the third day of camp, we invite parents and friends to come to the Deepwood Farm Kids Camp Horse Show where you can see your camper's new skills and meet their equine companion from the week. 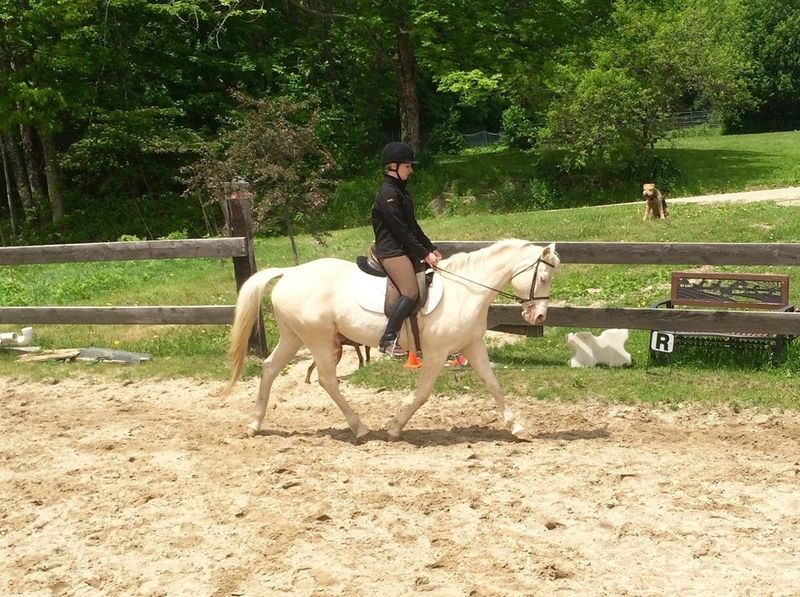 This three day camp is a great way for young campers to grow their love of horses and develop the confidence and skill to take their riding to the next level. Many of our camp counselors and helpers started at Deepwood Farm Kids Camp and we hope to have many more join us in the future! Five day camps are available for anyone ages 11+. Each camper is assigned their own horse for the week and will learn basic horse handling, care and grooming. First thing each morning we hold on the ground horse maintenance sessions that cover subjects ranging from barn management and equine first aid to preparing for a horse show. Campers learn how to clip, groom and braid in various styles for grooming and showmanship classes, as well as bandage their horses for trailering and proper loading techniques. By mid-morning we are in the ring for riding lessons. We keep groups small, so each camper receives equal time and attention from the instructor. Lessons are geared to the riding level of that particular group of campers. 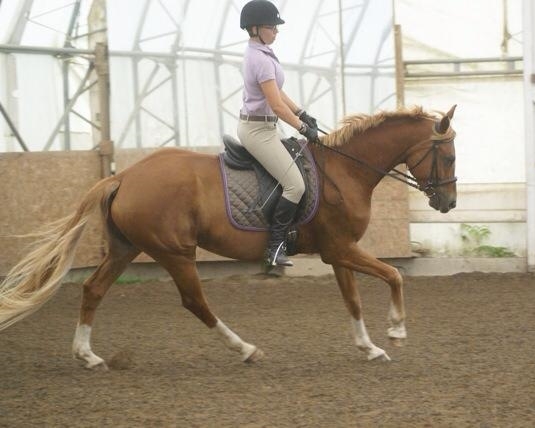 Beginners will make excellent progress with others at a similar riding level, and advanced riders will have lessons built around their skill level. The afternoon brings a wonderful trail ride through the scenic White Mountains. Each day brings a new trail to explore. All 5-day campers enjoy an overnight stay in the White Mountain National Forest as the highlight of the week. We ride to the campsite, which has been set up with a camp fire and tents, have a cookout and tend to the horse before hunkering in for the night. The next morning, after tending the horses and enjoying breakfast we ride back to the farm. The week is filled with horsey fun, the beautiful Maine outdoors, and new life long friendships. Find more photos from past Deepwood Farm summer camps in our photo gallery.